Some would have it that all parental alienation involves personality disorder, I disagree. Some children become alienated in situations where there isn’t a whiff of personality disorder in sight and they are just as alienated, just as entitled, arrogant and dismissive of the parent they are ‘choosing’ to reject. In my experience, relying upon personality disorder as a diagnostic indicator for parental alienation approaches the differentiation of the problem in the wrong direction. If one relies upon the presence of a personality disorder to arrive at a diagnosis of parental alienation (which is now recognised by the World Health Organisation and is included in the new edition of the International Classification of Diseases (ICD-11) as a synonym or an index term for the specific diagnosis of QE52.0 Caregiver-child Relationship Problem) then the exclusion of many families where children are alienated but where personality is not present in either parent, will occur. That for me is unacceptable because those families where a child is alienated but personality disorder is not present, face EXACTLY the same outcome as those where it is. The child is still alienated. The rejected parent is still rejected and the aligned parent remains in a position of control and power over the child. In our work we use a differentiation approach to understand the child’s route into the alienated state of mind. When we do this work we spend a good deal of time with a family to properly observe and figure out the dynamics. In our rolling assessment, in which we delivery therapeutic testing as part of our assessment, we start from a place of understanding the counter intuitive nature of parental alienation where all is never as it seems. This forensic examination, enables us to provoke to the surface, the dynamics of the alienation narrative and work out what is really going on to cause the child to enter into the psychologically split state of mind as a defence mechanism. and in all of our work we approach a case of a child’s complete rejection of a parent as a red flag which signals the potential presence of parental alienation. In the first part of our assessment we check that what we are seeing is the unjustified rejection by the child and we do this by looking at the information coming from the child about their relationship with each parent. The child who is alienated presents with the signs of alienation which are unmistakeable and repeated in startling similarity by different children. Arrogant entitlement, cruelty without remorse, stark division of feelings into wholly good and wholly bad, a determination that these are their own feelings, tales of the rejected parent’s ‘horrific’ abuse which are actually weak and unbelievable and out of proportion to the child’s reaction, a sense of omnipotence and a belief that they and only they can determine the future are the clear signs seen. When these signs are seen, we approach the case counter intuitively – knowing that everything which is being presented is likely being shown to us back to front and upside down. In the UK it is not possible to force someone to have a psychological assessment in the court process and it is very unlikely that any aligned parent would submit to one outside of that. And so the only option we have, if we suspect personality disorder, is to recommend psychological assessment and hope that the Judge will support our request for that. Given that parental alienation is also about power and control however, it is often the case that even when we suspect personality disorder, it is not something we can use as a diagnostic indicator with any real reliability and so, when we see a pure case of parental alienation, where we suspect personality disorder, what we have to do in the court process is point to the significant harm being caused by the parent in driving the child into the psychologically split state of mind. In such circumstances we recommend a transfer of residence and alongside that we offer our residence transfer intervention which supports the integration of the split state of mind in the child. In the UK we use direct residence transfer and the use of ‘stepping stone’ transfer in which the child is moved to live with foster parents whilst the work is undertaken to restore the integrated state of mind which enables the child to drop the rejecting behaviours. In all cases we work to restore relational health in the child and an integration of the splitting. Removing the masks is a key part of our forensic work and it is often not until we have been with a family for some weeks that we see the mask begin to slip. In static assessment, which is when someone meets the members of the family once and writes up a report on that meeting, masks can be held firmly in place and it can be extremely difficult for practitioners to hang on to their core need to think counter intuitively. As Steve Miller says, some of the alienating parents I have worked with have been the most plausible, sweet, kind and charming people I have ever met. They are innocent and seemingly open to scrutiny, they are compliant and often dependent very quickly and they behave as if butter wouldn’t melt in their mouths. Whilst rejected parents can often be brittle, aggressive, defensive, angry and seemingly controlling, so desperate are they for someone somewhere to see what is happening to their children. When faced with this confusing presentation on a one off basis, it is all to easy to slip into the belief that what the children are saying is the truth. But spend time with these parents and in particular, ask the aligned parent to do what they do not want to do (make the child see the rejected parent for example) and the mask begins to fall quite quickly. When the mask begins to slip and the evidence begins to unravel it is time to plan the intervention to bring the children into relationship with the rejected parent. We only do this when we have the full backing of the court and when the legal and mental health interlock is properly and safely achieved. The legal and mental health interlock is the way that the court recognises the need for the counter intuitive approach in mental health and holds the power dynamic over the alienating parent firmly enough to allow that to be delivered. A court ordered transfer of residence is one example of the legal and mental health interlock, although even that can be less then secure if, for example, the whole of the professional team around the family is not speaking with one voice. There is a truism in this work, which is that the legal and mental health interlock is only as strong as the weakest link. And in cases where someone has been weak in their belief and understanding (social workers for example or unskilled Guardians who don’t really believe in parental alienation) all the forensic work to prepare the intervention can be rapidly undermined and in fact ruined through the sabotage caused by unconscious or sometimes conscious disbelief. Much occurs in the hidden world of parental alienation which is in reality the hidden face of the family, the shadow side. All families have a shadow, that place in which all the things which are unwanted and intolerable to the family consciousness are placed. And in it is in this shadow where the source of the distortion which causes the alienation reaction in children is found. Whilst on the surface, those who seem the kindest and most charming people are dripping poison into the family system, those who are unaware are going about their business completely unprepared. When the mask slips and the perpetrator is revealed, people are often astonished at how such manipulation is achieved. Knowing how to identify the purveyor of the poisoned apple is one of the key skills of an alienation aware practitioner. Being able to hold one’s nerve, whilst working in the creeping dread of the shadow side of the family for long enough to unmask him/her, is quite another. Steve G Miller is A Clinical Instructor of Medicine at Harvard Medical School, Dr. Miller is board certified in internal and emergency medicine and has extensive experience in experience in forensic medicine, forensic psychiatry, and psychology. Steve will talk about the counter intuitive in practice with parental alienation on Day One at the EAPAP Conference on August 30/31 in London. You can see Steve Miller in discussion about parental alienation here. Tickets for the EAPAP Conference are on sale here and are now limited due to capacity so please purchase now if you wish to attend. Our parent tickets are also limited due to capacity so please do not wait if you wish to attend as we cannot make any further tickets available. For everyone who has purchased a ticket or who has emailed us to attend, please note that your joining instructions will be sent to you along with the brochure which will be finalised two weeks before the conference. Thank you for your work. Reading this article was the best thing that has happened to me in the last 9 months. God bless you. So much of this speaks to me, although – in my children’s case, the intervention you describe would probably backfire. One of the core devices their mother exploited to alienate them from me was to force me to seek the intervention of the Family Court ( she had been insisting on it for years!) with no prior knowledge of it’s systems. She knew our children would utterly detest the intrusion in to their lives and blame me, which they did. In the end I stepped away when it became clear their mother would never stop abusing them if I carried on trying to be their Dad. There is nothing as desperate in our case as you describe – no horrendous accusations (yet) but their were more than enough lies told to leave the children nowhere to turn. At least they both seem to be progressing well in school, but I wonder what will happen if and when the bubble bursts one day ? It would seem this is a common ploy used by the alienating parent! In my case my alienated son hated any form of intervention from any professional body! His father told him it was my fault that all these people are interfering in his life, that I was trying to get him into trouble and trying to get his daddy put into jail!!! My daughter who is 14 and lives with me took the opposite view and she now wants to become a social worker cause not one involved in our case was worth a dam, her words not mine! She missed out in much sibling contact because her father feared she would have used the time to stop her brother continuing with all this nonsense, so he refused to let her see him. Always an excuse and not one social worker had the balls to stand up to him even though it was court appointed contact!! My fight is now over, my son is 18 and still refuses to see me, but he does have a great relationship with his 14 year old sister and only last night sat outside my house for some time whilst dropping her home. I will be patient, heartbreaking as it still is even now, cause some night he will get out of the car and knock my door, of this I have no doubt. It may be in another 5 months or 5 years but I’ll be here waiting cause I’m his mammy and that’s what we do! My fight involving the court system and social services was over 2 years in June and I don’t think there is anything more destructive to a parent who is alienated from their child than to have to work with people who can’t stand up to the courage of their convictions! I hope now that Karen has opened the floodgates that the next generation of alienated parents have more luck that I did!! Good luck in your fight Rob! Rob – having some of this also. The thing is it is not the court process that leads to the alienation in my opinion but the other parent using it to reinforce more alienation by telling the children things like “he’s taking me to court” “he’s bankrupting us” and so on. As opposed to – Mum and Dad can’t agree on some things so the court will help sort it out (which is what we said to child). You did nothing wrong – you tried. Anything you do would be twisted and used against you – that’s the nature of it (on a basic layman’s point of view!) Your children may also be secretly pleased you tried to fight to see them. Hope for the future. What devastated us was when it was enabled by people within the court process. Also want to say thank you. We have the three A’s after a recent shock and yes it is being used to criticize us. With the best will in the world to be calm and rational – trauma and shock is trauma and shock. It feels like you are writing about my life. I am living this nightmare as we speak. A number of children and teens kill themselves after enduring parental alienation.. I know of two such cases. What can you tell us about this heinous form of manipulation & child abuse where a child can not seem to find their way back to a parent? This is a serious form of child abuse. Why is it happening more in wealthy homes? I believe the attorneys play games for more money $$$$$$$, and they are apart of this abuse, too. I agree with this 100%. It was my experience every step of the court process. Thank you for this. I am going through a court battle right now for custody of my son, and this article highlights the many different ways that he is being abused. I am evil..I am a deadbeat…I don’t deserve my child..these are all suggestions placed in my son’s head by a very manipulative family. Keep up the good fight. Make people aware.. .thank you. Does the doctor work with adult children alienated from family by their spouses? I would love to talk to you, we need you in NH, I need you for what I’m going through. We are starting to feel like we are on a ducking stool. 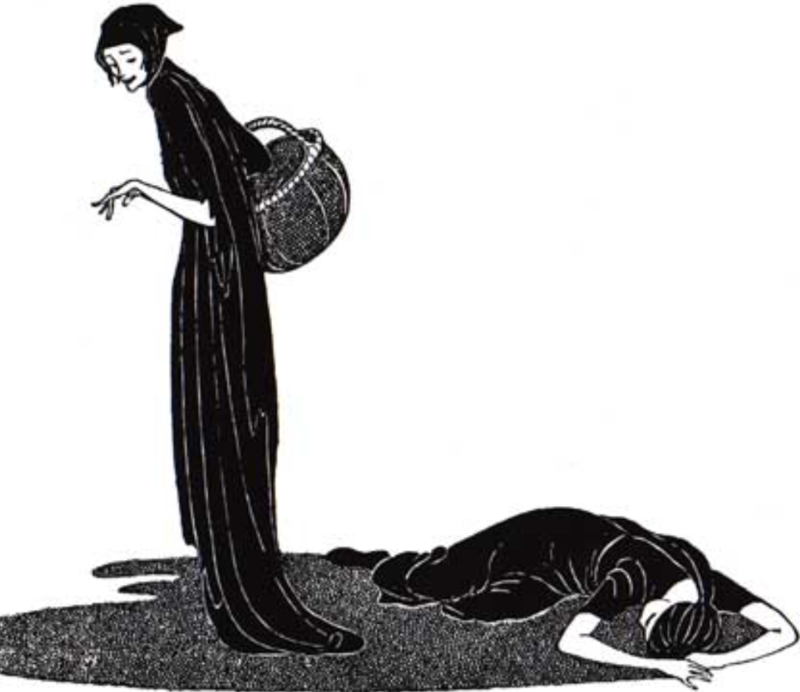 Witches who drowned were innocent – those that floated (unlikely) were proved to be witches. Things are going badly in the legal process and it seems as if the only way we can be believed is to give up until the child is proven alienated – and even then they’d probably say it was our own fault. Sorry – feeling very negative right now. I agree with what you are stating. There are the alienators who have a mental disorder and those who don’t. We need to have the Judiciary to be willing to accept alienation as a course of action to commence Child Potection and Family Court involvement in a family’s life. Unfortunately, this wasn’t the case for me. I had a maternal-half-sister who has been jealous of me since birth. She commenced alienating my son, when he was two years old. No one believed me. I have not seen my son since 2003. He will be 21 in September. Cases like mine need to be re-investigated for alienation symptoms within the case. This is my story, too. My son has been fed lies and encouraged to reject me. This is a miserable life to not be able to raise my son due to the malicious actions of a monster.